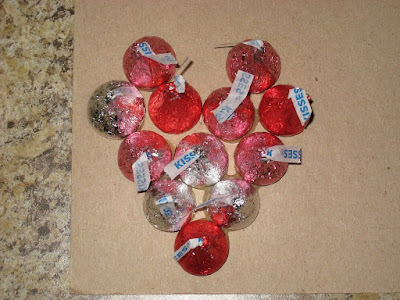 Julie Dawkins Family: Last minute Valentine: Candy Heart Necklace! Or I could have titled it...what to do with a one year old. 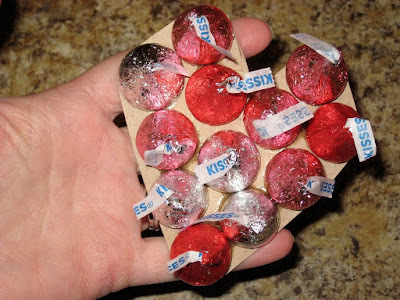 We put glue (non-toxic..just in case) on the back of the kisses and placed them in a heart shape. And tied a left over Christmas ribbon through it...and there you have it. 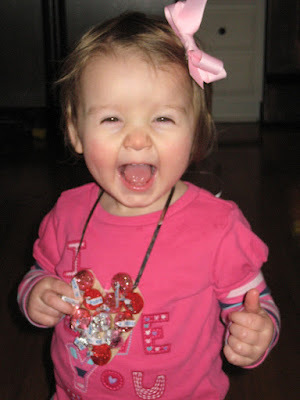 By the way this is her first necklace to try on...and I think by her expression shiny stuff will be in her future. On a last note...I don't feel comfortable leaving her with something around her neck yet so this is actually her present for her 3 year old cousin.